Looking to expand your ministry and reach more people? This all-access and behind-the-scenes look at North Coast’s video venues and weekend services will guide your team through the needed how to’s and hot tips to get you on the right direction. Come and be part of a movement that has changed the way church is done. With 5 campuses and over 30 years of experience, North Coast was one of the pioneers of the Multi-Venue Multi-Site movement. At this customized consulting session, you’ll have an behind the scenes look at our successes and failures over 20 years of navigating Multi-Site ministry. Your team will walk away with the practical knowledge and tools needed to launch, staff, and run a successful off-site campus. Content is presented by North Coast Senior Pastor Larry Osborne, and our team of seasoned Off-Site Campus Pastors and staff. This workshop is perfect for ministries of any size looking to launch or grow an off-site campus. In order to be truly effective, we ask that each team attending this consulting session bring at least 4 people, including your Senior Pastor. We have found that processing this content together and collaborating as a team will exponentially multiply its effectiveness. Day 1: Get a 30,000 foot view of ministry from Larry Osborne, plus have lunch at his house. Day 2: Hear from our front line practitioners on the nuts-and-bolts of what it takes to be successful. Customized content and small group size. This workshop is limited to a maximum of three church teams, which allows you to interact with presenters and get answers to your most pressing questions. Larry Osborne is one of the Senior Pastors at North Coast Church in Vista, California and president of North Coast Training. 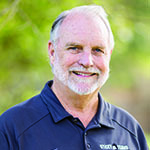 Under his leadership, North Coast has grown from 128 to over 9,000 in weekend attendance and has been honored as one of the ten most influential churches in America for its pioneering efforts in the multi-site movement, sermon-based small groups, as well as its creative approach to shared leadership. Larry’s books include Sticky Teams, Sticky Church, Accidental Pharisees, Ten Dumb Things Smart Christians Believe, Spirituality For The Rest Of Us, The Unity Factor and Innovation’s Dirty Little Secret. JD Larson has been in full-time ministry since 1991 and came to North Coast Church in February of 2002. 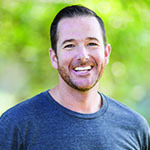 His track record of growing a college ministry, serving on the sermon-based small group team and launching several new venues laid the foundation for his current role as Campus Pastor at North Coast Church Carlsbad. JD was given the task of building a campus that he and his family would want to attend. He and his team launched the Carlsbad campus in March 2010 and now have over 1,200 attending weekly. JD is a team-builder with a passion for leveraging the resources of a big church and creating a multi-site environment that still feels small. Taking care of a church family and raising up leaders is what makes JD tick at work. At home, he is all about his wife Linda and their two teenage sons. 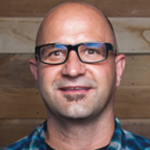 Jay Foulk has been on staff with North Coast Church since 2013. As a Campus Pastor he was instrumental in launching the San Marcos/Escondido Campus which now serves as our largest offsite location. In addition to his responsibilities as a Campus Pastor he serves as 1 of 5 members of the Strategic Leadership Team, leading and directing all campuses and providing leadership oversight to our campus expansion initiatives. Larry Osborne refers to Jay as a rockstar and we know you’ll agree when you meet with him in the areas of multi-site development, team building, leadership and problem-solving. When he’s not on campus you’ll find Jay and his wife Kelley keeping busy raising their two sons. We have been impressed by Jay’s understanding of North Coast, his outlook on ministry, as well as his vision and passion for the communities of San Marcos and Escondido. Jay has put together an amazing team to make the San Marcos/Escondido Campus happen. This is a team based workshop, and we strongly recommend each church bring a team of at least four people. To maximize the customization of this workshop, attendance is limited to three church teams per workshop. If the dates of the next workshop don’t work for your team, email [email protected] We can schedule a workshop based around your availability. Exclusive workshops are also available. Cost is $1750 per team of 4. Additional attendees are $350 each. We recommend flying in to the San Diego Airport (code: SAN). The airport is approximately 45 minutes from North Coast Church’s Vista Campus. The Orange County Airport (SNA) is also an option at approx. 60 minutes from North Coast’s Vista Campus. San Diego is very spread out and the closest hotel is about 10 minutes away, so we do recommend you rent a car for transportation. If you’d like to register, or just need more information, please fill in the form below and one of our team members will get back to you right away!